Cutting through hardened steel can be an intensely laborious and sometimes dangerous process. Knowing which methods work best for cutting through hardened steel can save an enormous amount of time, energy and frustration. No matter how long or tough the job may be, it is essential to perform these steps while observing every possible safety precaution. 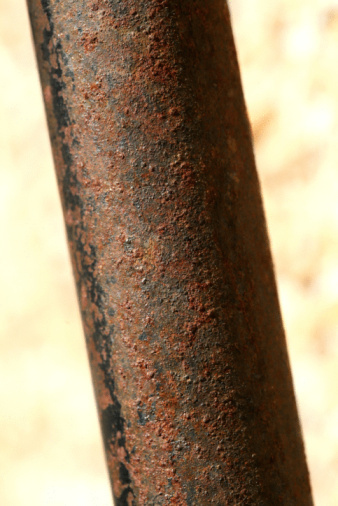 The materials necessary for cutting through hardened steel are often dangerous, and seeking the advice or assistance of an expert is always recommended. When cutting through hardened steel, there are a few things to consider before choosing the most efficient method. The most important of these is whether you need to keep the hardening of the steel. Secondly, how much time and effort are you willing to spend in this process? Lastly, how much money do you plan to spend on the necessary materials? The answers of these questions will lead you to the appropriate steel cutting methods outlined. Use of proper safety gear such as thick leather gloves and safety goggles. When working with high temperature, a fire resistant blacksmith's apron is highly recommended. Even when cutting steel at very low temperatures, it is still essential to wear proper eye and hand protection to avoid possibly permanent injury to self or to people nearby. Always consider your surroundings before beginning any of these processes. Heat the steel using a propane torch until it becomes a white hot color. The high temperatures involved with this method will cause the steel to lose its hardening, however, making this a less than desirable method for those who do not wish to ruin the metal. When the heated steel is glowing white hot, a hammer and chisel can be used to cut away undesired pieces or to reshape the steel before it cools. If large, even cuts are needed, a high temperature cutting torch will probably be more useful, since its flame is hot enough to actually evaporate the steel in the form of any cuts desired. Both of these methods are somewhat messy, however, and will not produce a clean cut. If a clean cut is desired when cutting through hardened steel, or if the steel's hardness must be retained, a fine toothed hacksaw will work wonderfully, though the process is long and will require a great deal of intense effort. To maximize efficiency when using a hacksaw, there are a few things to take into consideration: 1. Ensure that the hacksaw blade's teeth are pointed away from the user. All of the teeth in a hacksaw blade are designed to cut in only one direction, and the most efficient cutting direction is away from the user. 2. Use a bench vise to firmly hold the hardened steel as it is cut. This will ensure a clean cut, and will help to reduce any wasted energy. 3. Hold the Hacksaw firmly with both hands, placing one hand on the hacksaw's handle and the opposing hand on the opposite end of the saw. Hacksaws were designed to be used in this fashion, and are much less useful when used single handedly. If a somewhat larger amount of money is available to be spent on cutting materials, the Evolution metal cutting saw is a fast and efficient tool that will cut through hardened steel with relative ease, making clean cuts and retaining the hardness of the steel. For those who have a great deal of steel cutting work ahead of them, the Evolution metal cutting saw comes with the highest recommendation, and is the most efficient method for completing a hardened steel cutting task.